We had a fun expedition to the berry farm and picked a ton of strawberries and raspberries. All was well in the sun, as we grazed through the fields filling our buckets and stuffing our mouths with sweet ripe berries. Once we got home, it hit me, I had no space in the freezer! 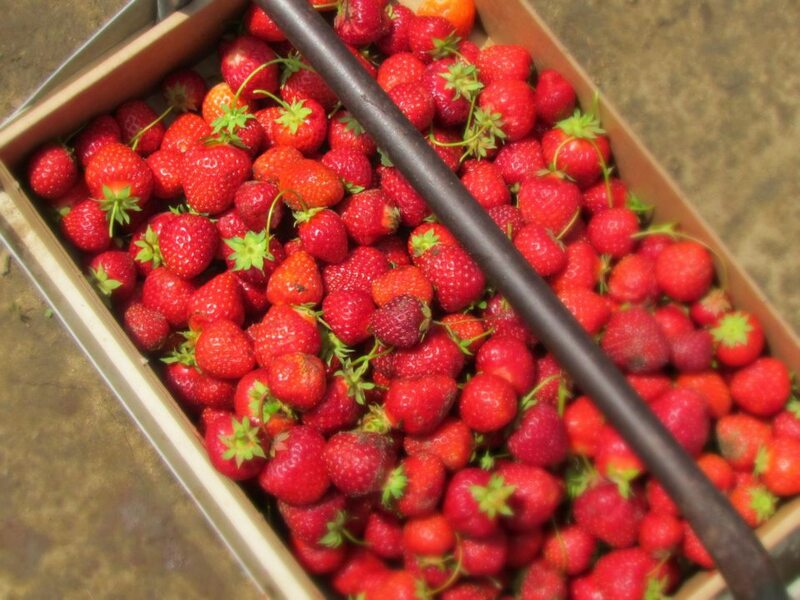 What was I going to do with all those ripe berries that were getting soggy by the minute. I decided to make some jam. 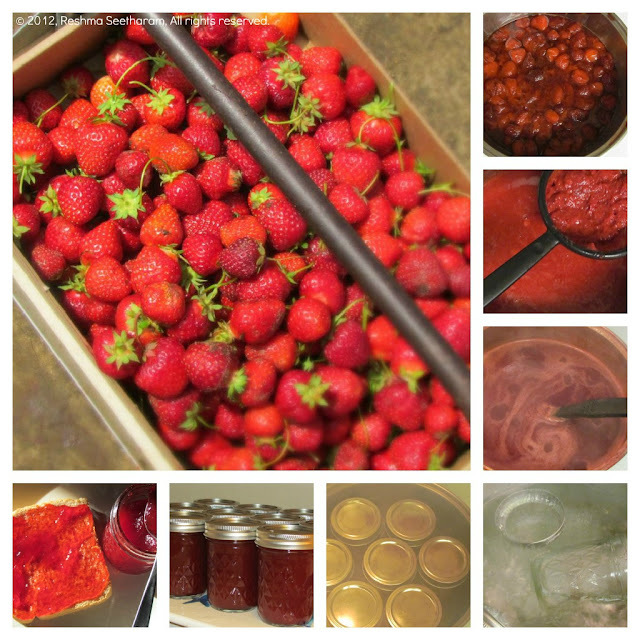 I bought 2 packs of pectin, and tried to mix up a few recipes on the net to sound right. A lot of recipes called for loads of sugar to get the pectin consistency right, but I used half the amount, and it turned out just fine. Prepare the cans first, by simmering them in a large pot of hot water. Heat jars and lids in a low simmer until ready for use. 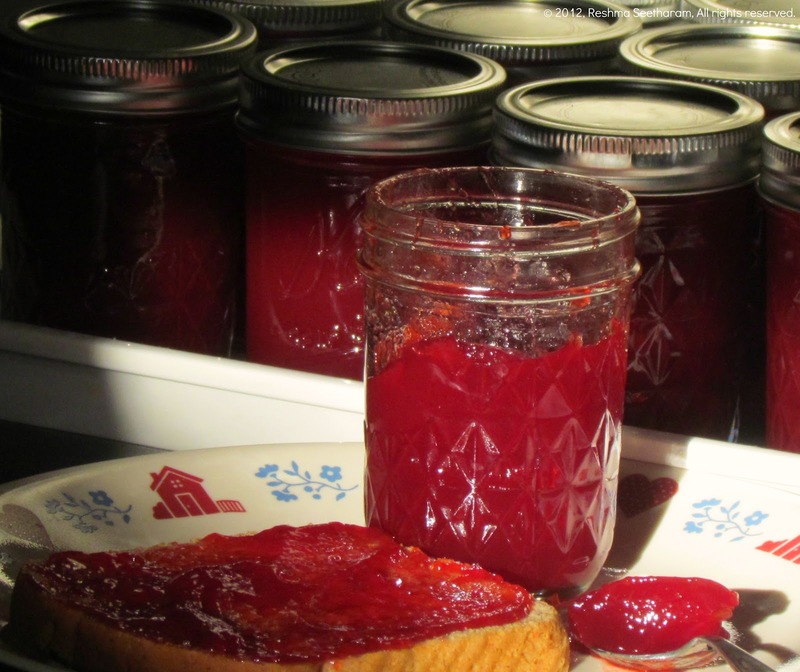 Place an empty metal spoon in the freezer to run the jam test. Crush the strawberries and raspberries together. You may use the puree as is or filter the seeds out. Now that is one long process, I love the seeds, but my kids wont sink their teeth in them, so I had to adapt the latter. After you gather about 8 cups of puree, pour it into a a large, heavy bottom cooker and bring it to a boil. Add in the pectin and let it boil. Then add in the sugar and let it dissolve completely. Toss in a spoon of butter to prevent foaming. Get the mixture to a rolling boil that can not be stirred down. Boil hard 1 minute, stirring constantly. Remove from heat. Skim out any foam if necessary. 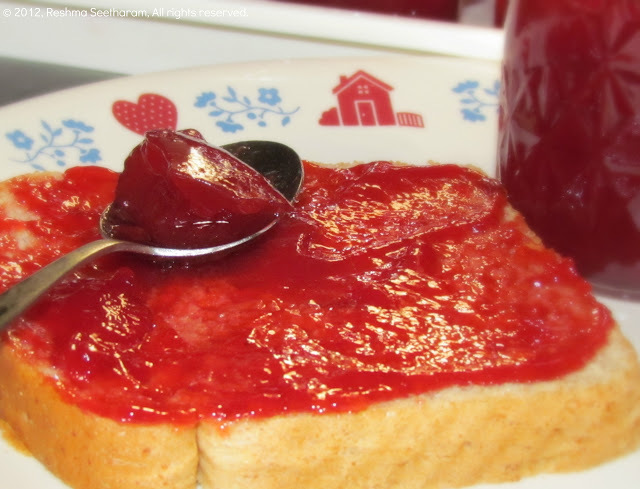 Add a spoon of hot jam into the cold freezer spoon and place it back. If its forms a jam in a few minutes, your jam is all ready to set. If it is too runny, add some more pectin and sugar. Bring it to a boil and run the test again. Place a funnel over the jars and fill them using a ladle. Leave about 1/4 inch head space. Clean the rim with a towel that is dipped in boiling water. Apply the lid and ring it down with the band to hold tight. Place all the jars back in a boiling water bath on low. Cover and let it simmer for 10 to 20 minutes depending on the altitude. Take them out and place them in a cool dark place. Over the course of 24 hours, your jar tops will pop, and that is a sure sign your jars are sealed. 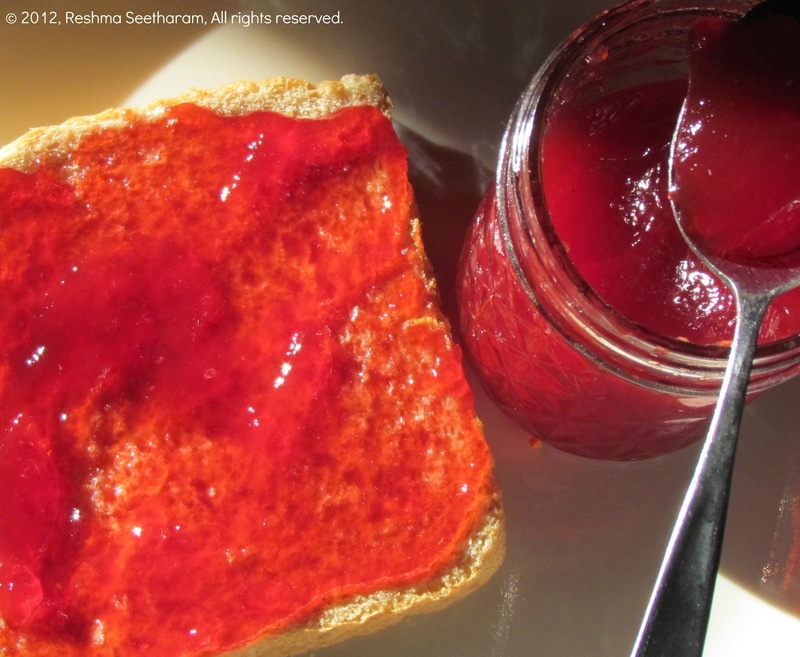 Don't fret over your jam if it does not turn out right. If its runny call it jelly or preserve. If it is pure fruit liquid, just use it as a syrup to make smoothies, or pour them into molds to make frozen treats honey. Enjoy!